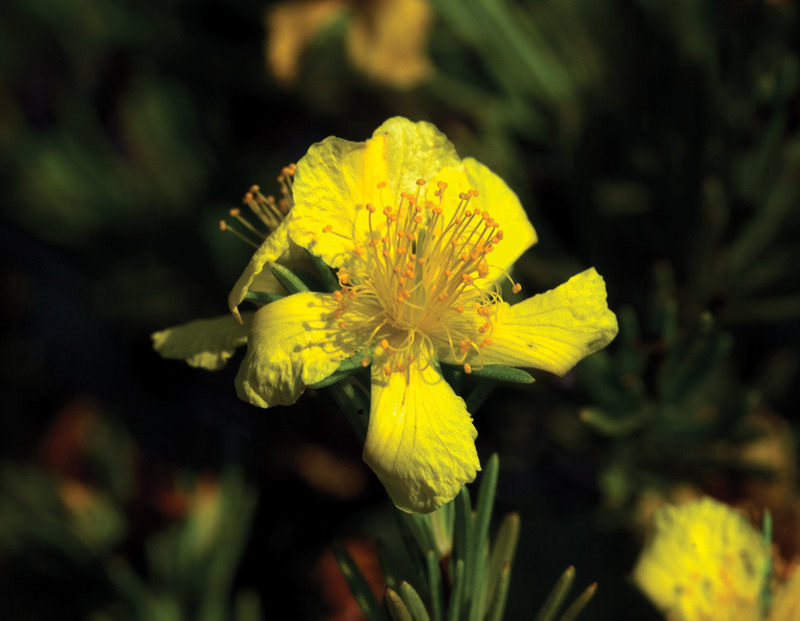 More than 20 species of St. John’s-wort occur in the panhandle, many along roadsides and woodland margins. 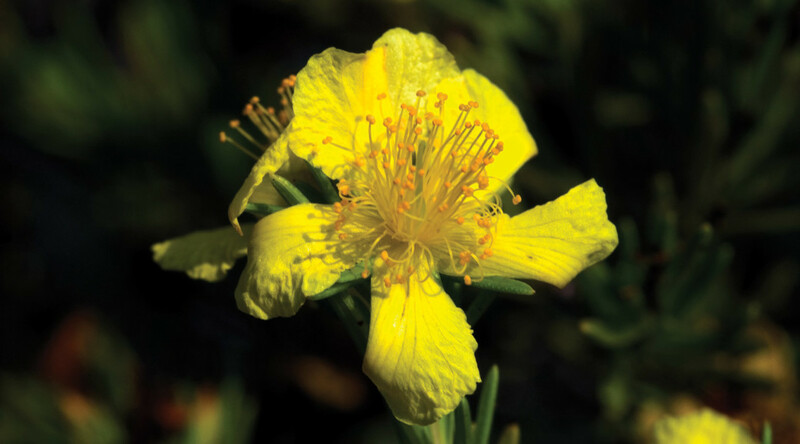 All have yellow, 4- or 5-petaled flowers with a brush-like mass of yellow stamens. 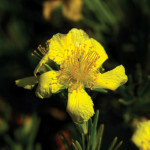 The one shown here makes its appearance in spring, but one or another of the species is flowering spring through fall.